Our Ocean Conference 2018 was held in Bali this week to further global action on maintaining the sustainability of our oceans. Changing climate and rising sea levels, overfishing, threats of plastic pollution, as well as opportunities that investment in the blue economy presents – the Our Ocean Conference called to a diverse range of stakeholders to make commitments and address these pressing issues, many of which, like marine protected areas and plastic pollution, are of priority in the GEF’s new funding cycle (GEF-7). Plastic, which makes up 80% of all marine debris, threatens not only ocean health, but also food safety and quality, human health and coastal tourism, and contributes to climate change. Along with many partner organizations, the GEF recognizes the global nature of the plastic pollution issue and, consequently, the value of global investments. Together we are raising government, public and business awareness regarding plastic solutions, fostering public-private partnerships, promoting best practices and shared experiences, and working with the public and private sectors to set global standards. On the second day of the Our Ocean Conference, GEF CEO Naoko Ishii spoke on a panel as part of the “Tackling Marine Plastic Pollution: Catalyzing Global Action, Innovation, and Solutions” side event hosted by the Government of Indonesia, an emerging leader for oceans action. Indonesia has developed a National Plan of Action for Marine Plastic Debris Management and has pledged $1 billion to curb ocean waste by 70% by 2025. In the main conference itself, CEO Ishii highlighted the progress made by the GEF since the last Our Oceans Conference and announced the GEF’s commitment of $50 million to create, expand and improve the effectiveness of over eight million hectares of marine protected areas as part of our new cycle of funding for the next four years. Recognizing that marine plastic pollution is indicative of our global linear economy of take-make-waste, the GEF is committed to promoting a circular economy approach of closed loop production and consumption. Based on this circular approach, Ishii also announced that the GEF commits to reducing 50,000 tonnes of plastic from entering the ocean. Earlier this year, in his forward-looking article, Peter Thomson, United Nations Secretary-General’s special envoy for the ocean, writes with confidence that by 2030, we will reverse the negative cycle, and restore our relationship with the ocean to one of respect and balance. The Our Ocean Conference 2018 makes a compelling case that this is attainable. Six stories below highlight the progress made by GEF, its partners, and conservation community at large, and the opportunities that lie ahead in each of the action areas of the Our Ocean Conference. Marine protected areas: The Seychelles strives to capture sustainable value from its ocean while securing 30% of its ocean area in new MPAs. Oceans provide food for billions of people and bring in $1.5 trillion to the global economy annually. Marine protected areas guard oceans ecosystems so that they can sustain thriving fisheries. They also protect coastal landscapes, which provide defense for communities from storms. Seychelles is a biodiversity hotspot that is that is developing its MPAs. In this blog Maria Damanaki, the Global Managing Director for Oceans at The Nature Conservancy, and Karin Erika Kemper, Senior Director for the Environment and Natural Resources Global Practice at the World Bank, write about Seychelles’ growing blue economy. 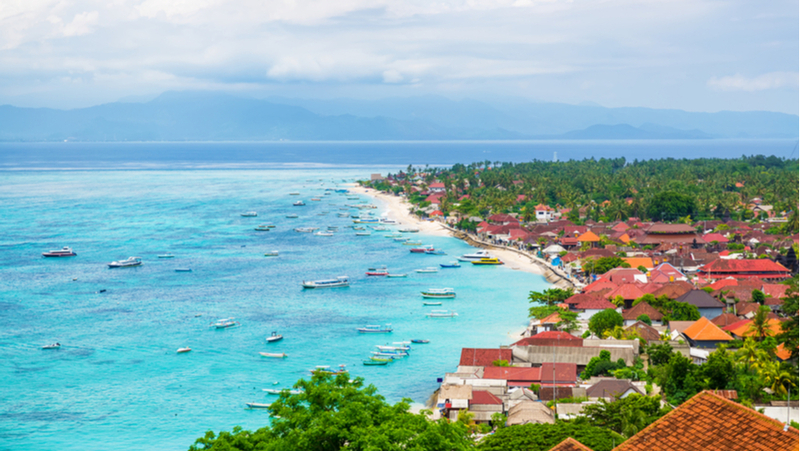 With the support of the GEF, World Bank and World’s First Sovereign Blue Bond, which was launched during the opening of the Ocean Conference in Bali, the country is continuing to demonstrate that strong economic growth and strong ocean protection are not mutually exclusive. Climate change: How improved weather forecasting and observation is helping the Comoros face a changing climate. Due to climate change, our oceans are warming up and changing composition faster than ever and communities must learn how to adapt. UN Environment’s story highlights how small developing islands like the Comoros are especially vulnerable to the effects of climate change. They rely heavily on rain-fed agriculture and subsistence farming but face unpredictable weather, climate shocks and disasters. In recent years, floods have been so severe that they have destroyed entire neighborhoods and have washed away crops. A GEF-funded, UN Environment implemented project has worked with the Government of Comoros to establish five automatic weather stations across the Comoros’ three islands. Improved weather forecasting and observation will help the rural population in Comoros to become climate resilient. Marine pollution: From local to global action, saving the ocean requires re-thinking our relationship with single-use plastic. Plastic litter and urban waste are accumulating in oceans at an alarming rate. 100,000 marine mammals die annually from plastic pollution. Other contaminants such as heavy metals affect the health of millions of people. In her blog, Leah Karrer, Senior Environmental Specialist at the GEF, talks about how a circular economy is key to reducing marine debris. She highlights how the circular economy approach embraces systems thinking by promoting closed loop production and consumption through the 5 Rs: rethink, redesign, reduce, reuse, and recycle, and talks about The New Plastic Economy Initiative. Under this initiative, supported by the GEF, UN Environment, the Ocean Conservancy and led by the Ellen MacArthur Foundation, major companies including Coca-Cola, Ikea and Unilever have committed to 100% recyclable, reusable or compostable packaging by 2025. A Global Commitment to eradicate plastic waste and pollution at the source has been officially unveiled on the first day of the Our Ocean Conference in Bali. Sustainable fisheries: Incentivizing sustainable fishing through certification. Healthy oceans are the main source of food and livelihood for one billion people, but global fisheries are under an immense amount of stress. Sustainable Development Goal (SDG) number 14 is to conserve and sustainably use the oceans, seas and marine resources. Goal 14.4 sets the target to restore fish stocks as fast as possible by regulating harvesting by 2020. Rupert Howes, CEO of The Marine Stewardship Council (MSC), details how fisheries can be better managed so that these goals can be achieved. He describes the critical role of the Marine Stewardship Council in ensuring that well-managed fisheries are rewarded by the market. This is done through certification. Over 400 fisheries are now engaged in the MSC programme to meet the growing demand for sustainable and fully traceable seafood with certification. However, he stresses, this is not enough, as we need to scale up quicker to deliver the SDG 14s fisheries targets. Sustainable blue economy: The transition to “blue” policies and business practices is an historic and unprecedented opportunity. Our ocean presents huge untapped opportunity for Blue Growth in areas such as aquaculture, blue biotechnology and coastal tourism. In his blog, José Maria Figueres, former co-chair of the Global Ocean Commission and co-founder of Ocean Unite, amplifies the message that the ocean is everybody’s business and it is in our best interest to restore its health. Building a blue economy of marine and coastal industries can enhance the well-being of humanity and the global commons. Figueres highlights that many governments and businesses are waking up to the power of the blue economy, but they must work towards focusing more on protecting the ocean. He emphasizes that we need to act fast to promote initiatives like blue carbon credits, which will provide financial incentive to conserve marine ecosystems. Attaining a sustainable blue economy based on mechanisms like this will benefit all countries. Maritime security: State-of-the art oceanic research ship will support LME conservation and management. 90% of world trade is supported by maritime transport, and ocean security is key for maintaining prosperity and peace. Global supply chains are threatened by pollution, natural disasters, illicit trafficking, smuggling and more. Jeffrey Griffin, Senior Coordinator of the GEF Unit at the UN Food and Agriculture Organization, writes about the state-of-the-art marine studies vessel named Dr. Fridtjof Nansen. Scientific data from the Nansen will strengthen cooperation between countries, as it sails freely across jurisdictional boundaries bearing the UN flag. It is helping countries overcome the marine resource challenges that transcend borders to foster the sustainable use of marine resources. Research projects such as this build capacity for understanding marine issues in a way that promotes shared frameworks and joint enforcement within the international community so that security challenges can be better addressed.